So excited! We will be opening for the 2019 Season Friday May 3rd. I don’t know about you but here at Dubeau Family Farm we are excited that winter is finally over and we can get back to doing what we love! Vegetable gardening. The first vegetable that emerges in the spring is Rhubarb and Asparagus and the next vegetable/fruit will be strawberries. 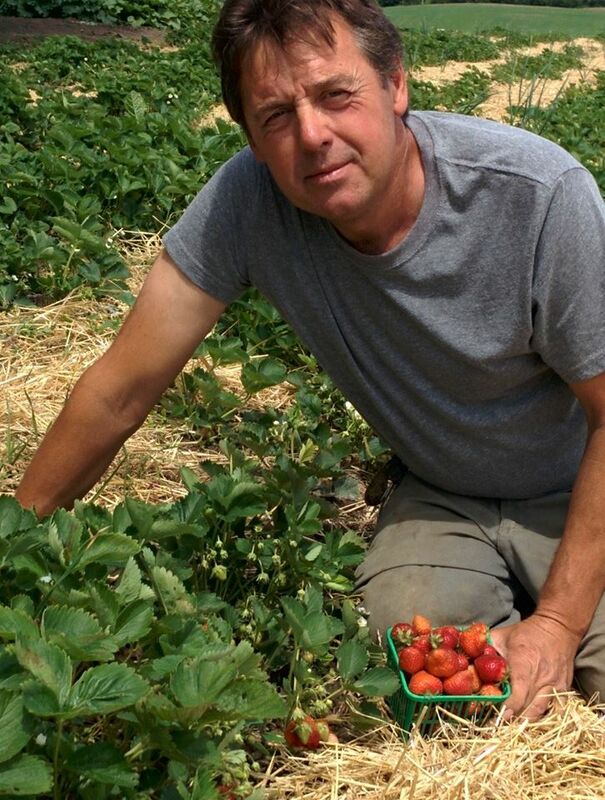 Follow us on facebook : Dubeau Family Farm for updates on what is happening on the farm. We're already picking our strawberries and our raspberry plants have never looked better. 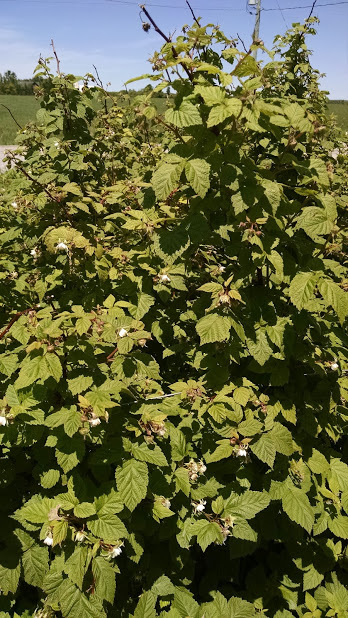 If you look really closely you can see honey bees all over the raspberry plants - hundreds of honey bees can't be wrong! It looks like the last of the frost hit us last night so at the crack of dawn this morning we started planting our 12,000 tomato plants. Don't forget to buy your Mother's Day flowers! Our own rhubarb is already being harvested. Fresh hanging baskets arriving daily. Our strawberry patch and raspberry plants have all been prepped for the 2015 growing season. 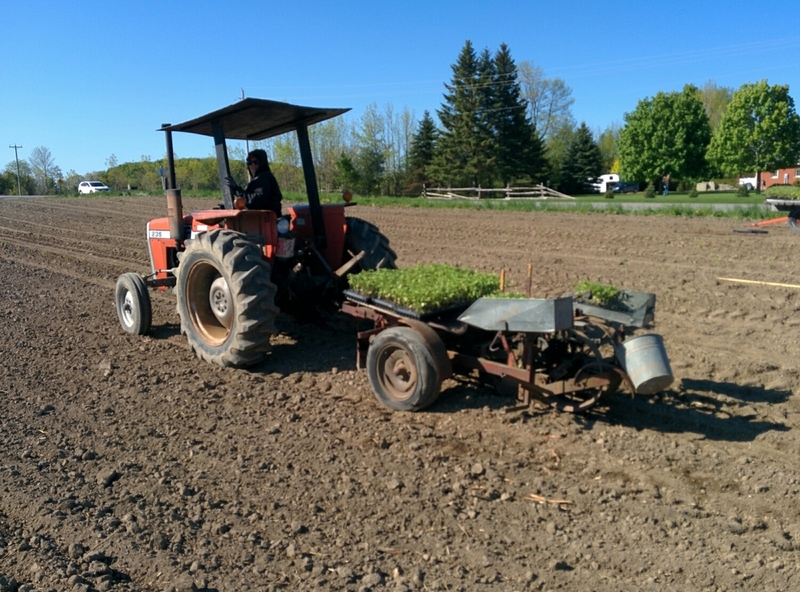 It's another year at Dubeau Farm and we're already busy planting this year's harvest. Our red, white and Yukon potatoes have been planted and we've been busy working on caning the raspberry bushes. Our strawberry patch is being cleaned up and soon we'll be planting our famous tomatoes. Look for our opening on May 1st and Kim's famous buttertarts, pies, and other treats.